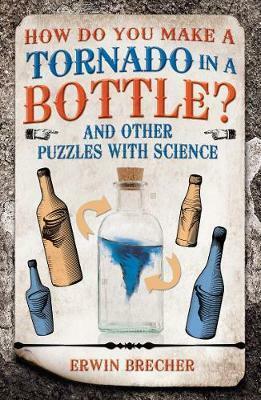 How Do You Make a Tornado in a Bottle is filled with fascinating scientific and mathematical puzzles, all based on real-world principles. Learn why birds fly in formation, how to steer a rudderless boat and why the water levels of the Atlantic and Pacific oceans are not always the same. Mensan Erwin Brecher, PhD, was educated in Vienna, Czechoslovakia and London, where he studied physics, economics and engineering. He entered business after World War Two and became a Name at Lloyds of London in 1974. He has since written many books on non-fiction subjects, most of them puzzle books of high quality and wide variety. He received the Order of Merit in gold from the city of Vienna in recognition of his literary achievements.